Louis Hoffman, PhD, is a widely recognized author, professor, scholar, therapist, and speaker. 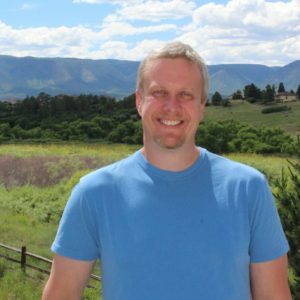 He is a psychologist in private practice in Colorado Springs, Colorado and a faculty member at Saybrook University (for more information on his teaching, visit his Virtual Classroom). Dr. Hoffman is the current president of the Rocky Mountain Humanistic Counseling and Psychological Association and a past president of the Society for Humanistic Psychology (Division 32 of the Society of Humanistic Psychology). An accomlished scholar, he serves on the editorial boards of the Journal of Humanistic Psychology, The Humanistic Psychologist, Janus Head, and PsycCRITIQUES: APA Review of Books. Dr. Hoffman is a co-founder of the International Institute of Existential-Humanistic Psychology (IIEHP). Through the IIEHP and the China Institute of Psychotherapy, Dr. Hoffman provides training in certificate programs on huamnistic and existential psychotherapy in China. In 2015, Dr. Hoffman was recognized as a fellow of the American Psychological Association, which is granted to individuals for “unusual and outstanding contribution or performance in the field of psychology.” He is also a fellow of three divisions of the American Psychological Association including the Society for Humanistic Psychology (APA Division 32), Society for the Study of Aesthetics, Creativity, and the Arts (APA Division 10), and Division 52 (International Psychology). An avid writer and speaker, Dr. Hoffman has 13 books, over 100 journal articles, book chapters, and encyclopedia articles, and is a regular presenter at conferences and other events. A licensed psychologist, he often has been active in offering psychotherapy, assessments, supervision, and training throughout most of his career.